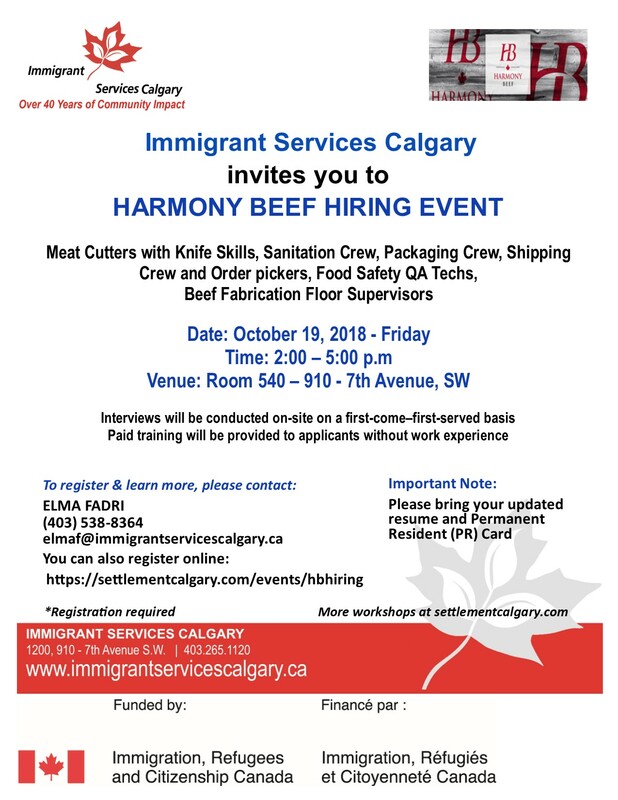 ISC-HARMONY BEEF HIRING EVENT Offering various positions to applicants with or without experience in the industry. Meat Cutters with Knife Skills, Sanitation Crew, Packaging Crew, Shipping Crew and Order pickers, Food Safety QA Techs, Beef Fabrication Floor Supervisors. Interviews will be conducted on-site on a first-come-first-served basis Paid training will be provide to applicants without work experience.